Whether you loved the 2015 Oscars or hated the 2015 Oscars, there's no doubt the ceremony left us with a lot to discuss. 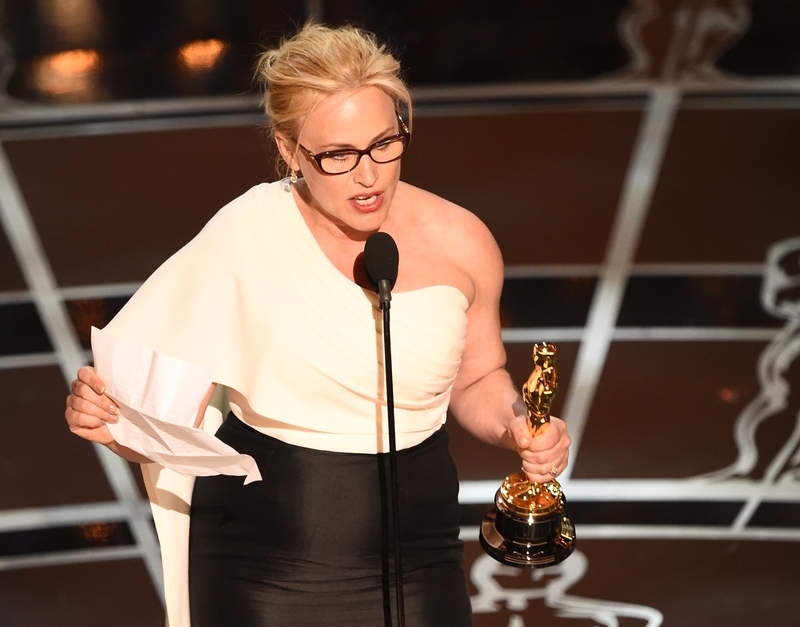 For about five minutes after Patricia Arquette's spirited, emotional plea for equal rights during her Best Actress acceptance speech at Sunday night's Oscars, I was sure that her actions would be universally praised. After all, she took a moment that was designed to be solely about her and generously made it about all women, using her immense platform in that moment to make a stand on feminism. It was a beautiful five minutes, full of optimism and wet eyes and Meryl Streep fist pumps. But then the five minutes were up, Arquette left the stage to make some comments that clouded her message, and the backlash began — as it always does when a high-profile statement about feminism is made. And I fear it always will, unless we start doing something about it. To every woman who gave birth, to every taxpayer and citizen of this nation, we have fought for everybody else’s equal rights, it’s our time to have wage equality once and for all, and equal rights for women in the United States of America. It's time for all the women in America and all the men who love women and all the gay people and all the people of color that we’ve fought for, to fight for us now. Yeah, I know. That's rough. And people responded accordingly. Who was Arquette, they asked, to demand that the gay community and people of color throw their voice behind the cause of the cis white woman when theirs is still a daily struggle even to be heard? Arquette's statement is without a doubt both problematic and insensitive. If anyone's denying that, it certainly isn't me. But before leaping to attack her for excluding fellow minority groups from the feminist cause — which she absolutely did — we need to bear in mind that no one person is responsible for speaking for the feminist movement. Part of what I believe feminism seeks to address is that women must be all things at once: they are expected to simultaneously speak for themselves and for every member of their gender, while also presenting inoffensive, unassailable points. Ironically, in battling the image of effortless perfection that society expects women to embody, I think we've applied the same standards to the champions of the movement. It's undeniable that Arquette is speaking from a place of entitlement and privilege. She's cis, white, wealthy, and currently in possession of one of the most coveted awards on the face of the planet — hardly your average lady. She is at the top of her industry in this moment, and that informs the way she looks at and thinks about the world. In her comments Sunday night, Arquette revealed a clear level of ignorance about the way that world works, or should work, and, while I'm not saying that we need to ignore that lapse, I see no benefit in punishing her for speaking up at all. If we place such high demands on those who choose to use their fame as a platform for a movement like feminism, what is the incentive for others to add their voices to the conversation? There needs to be room for growth and perspective and learning and communication, and those benefits don't come from success; they come from failure. I'd love it if we could see her slip-up as an opportunity for education instead of vilification.